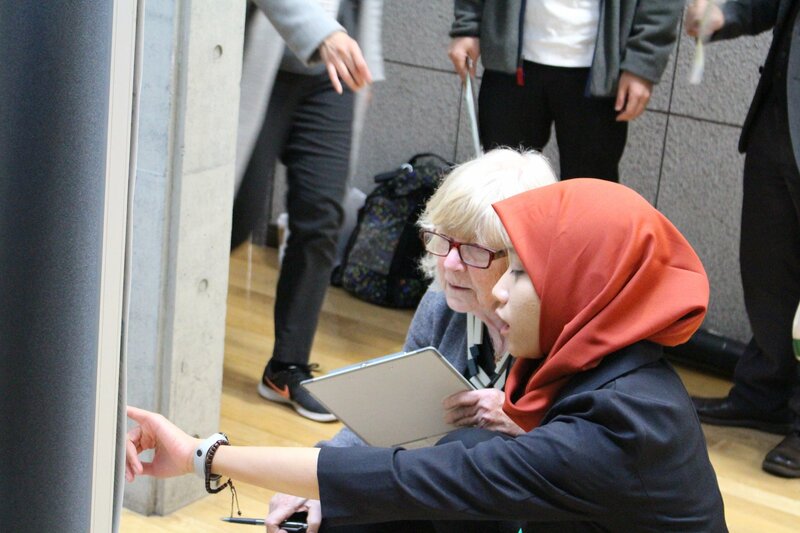 S. Azuhata received University (TUAT) President’s Award for Student Excellence. 学長より学生表彰（学業優秀）2017/3. 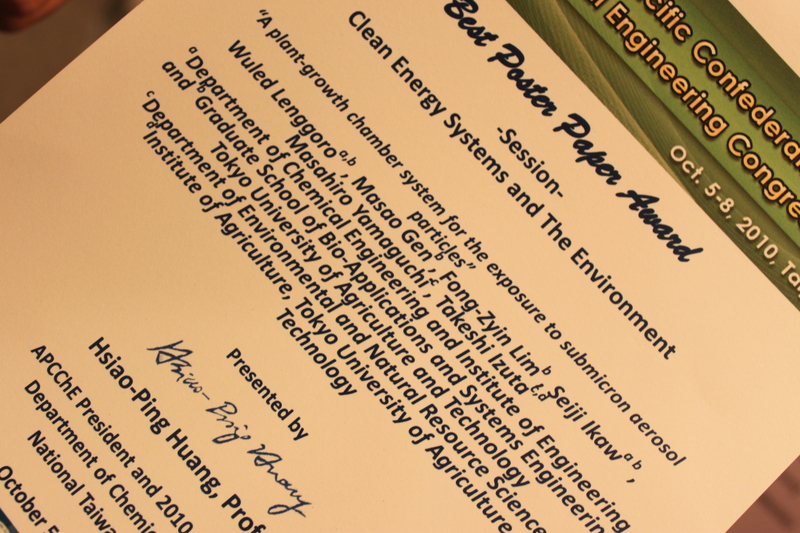 BEST PAPER AWARD, 2nd International Conference on Purity, Utility Reaction and Environmental Research (PURE 2015), Kuala Lumpur/Malaysia. 11 Nov. 2015. 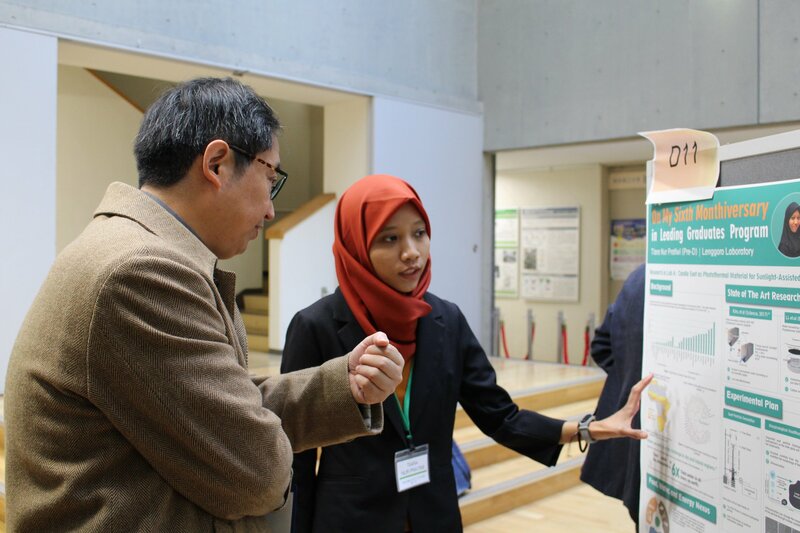 Tokyo University of Agriculture and Technology　(TUAT); *Institute of Multidisciplinary Research for Advanced Materials, Tohoku University; **Department of Chemical Engineering, Institut Teknologi Bandung (ITB). Student. 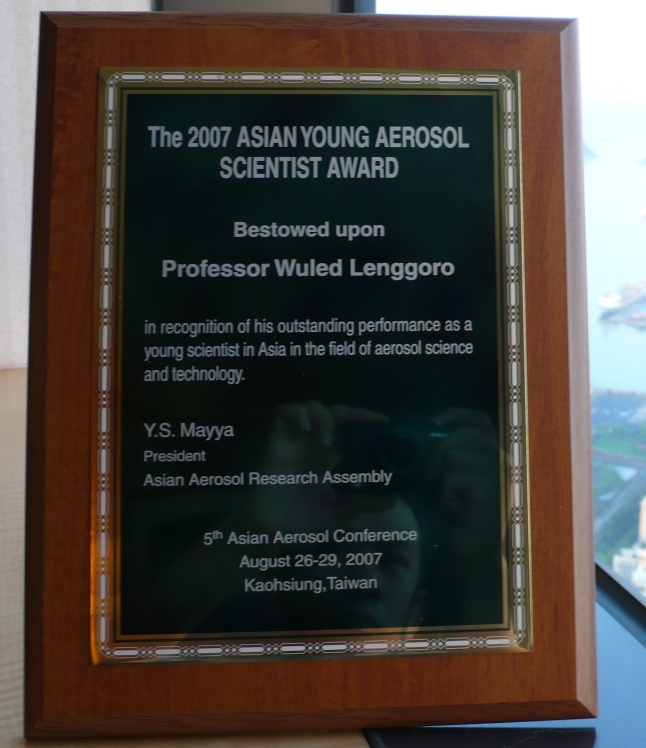 2013 Aug: A doctoral student got the 2013 IINOYA AWARD during 30th SYMPOSIUM ON AEROSOL SCIENCE AND TECHNOLOGY (Kyoto University). “Development of a portable sensor system based on aerosol particles to detect pesticide residues” エアロゾル粒子センサーを用いた携帯型残留農薬検出システムの開発. 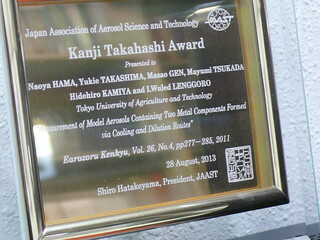 = This award has supplementary prize (cash prize of 100,000 Yen): More…. Student. 2013 July: A doctoral student got a grant for a project on advancing a sensor technology to detect pesticide on-site. Sponsor = Innovation Advancement Organization (IAO), based on a TUAT/MEXT project. 博士課程後期の学生が申請した研究プロジェクトが採択されました。The program includes few-days training at SRI (Stanford Research Institute, California) and Cornell University. 2011.Oct. 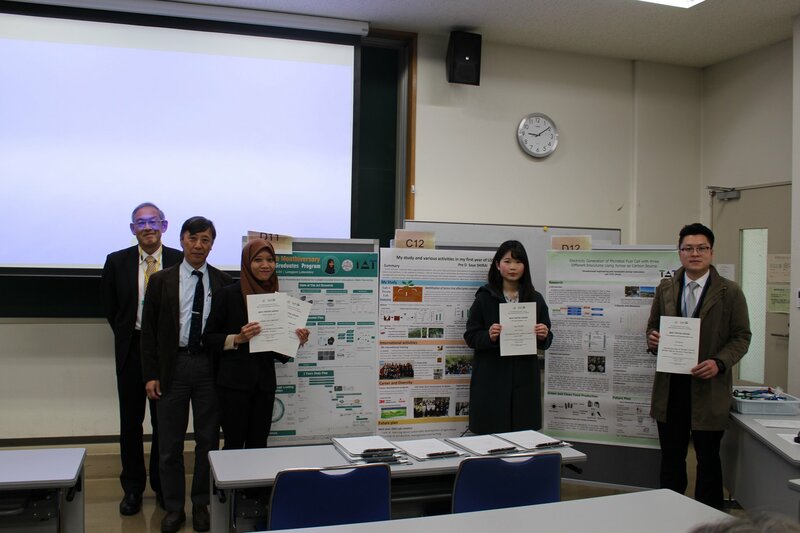 Japanese governmental JASSO fellowship SSSV (Short-Stay, 90 days) Program for Indonesian students for training on Agriculture and Engineering at TUAT…日本インドネシア農工融合国際人材育成研修プログラム（実施：農工大） Lenggoro: Program coordinator. Student. 2009/9 (Scholarship): STEP program awardee with the JASSO scholarship one year for an exchange student. This student was a final-year bachelor student of Dept. of Physics, Institut Teknologi Bandung (ITB), a sister university of TUAT. 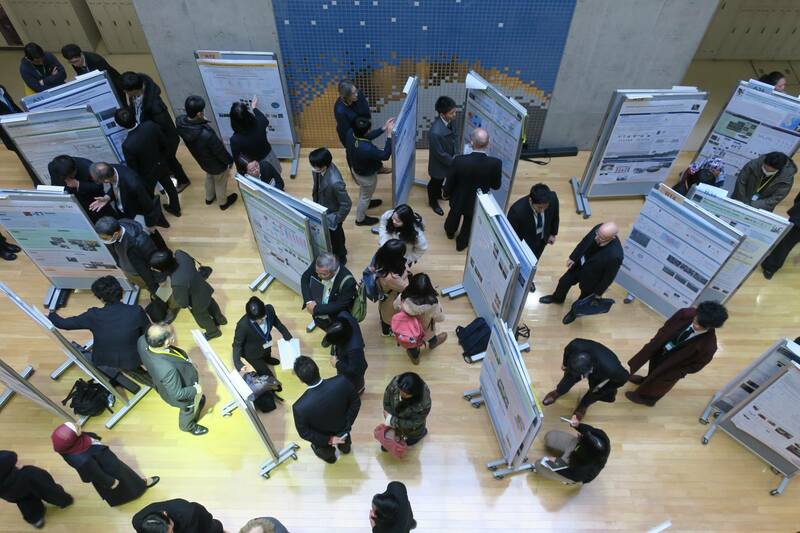 [Fast]先端材料から[Slow]の農学系研究へ From "Fast” Advanced Materials to “Slow” Agricultural Studies.